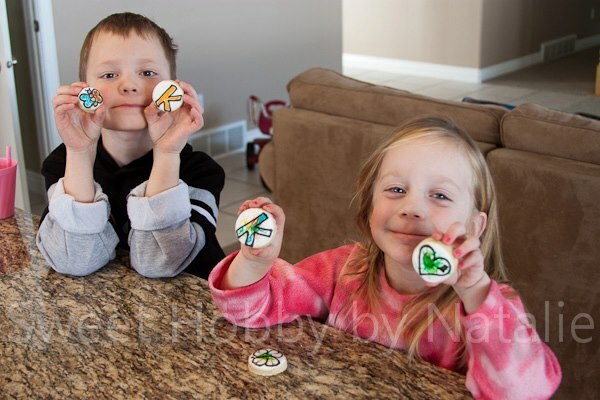 Coloring Canvas Cookies are perfect for birthdays, class parties and even adults enjoy coloring them. 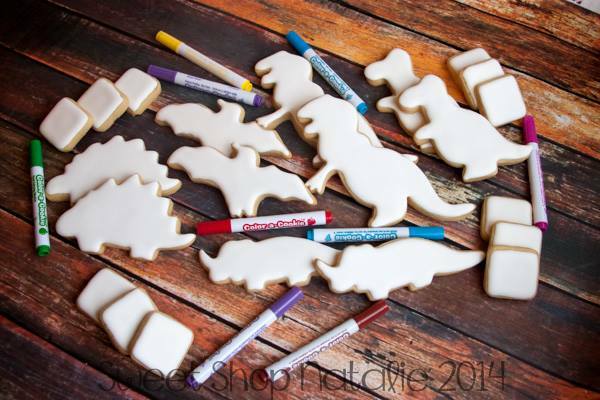 Who wouldn't love to get to show off their artsy side and eat it too. I have made these each of my children's birthdays in the past. They are perfect at birthday parties. 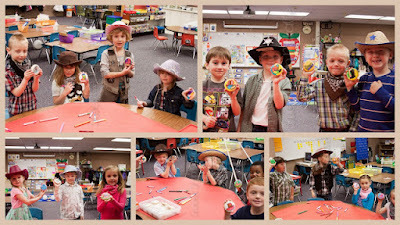 It gives the kids a "craft" to do, which will also give you some moments of silence, and it can serve as the birthday treat. 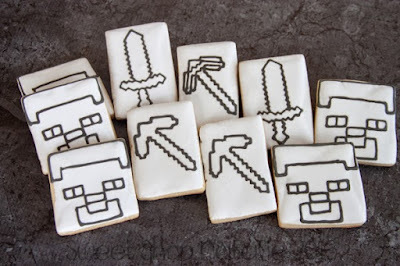 One year my son had a Minecraft birthday party and here are the cookies I did for it. The boys really enjoyed coloring them. I gave them the option of eating it once they were done coloring them or they could take it home first to show it off to their families. The technique used above is called wet on wet. 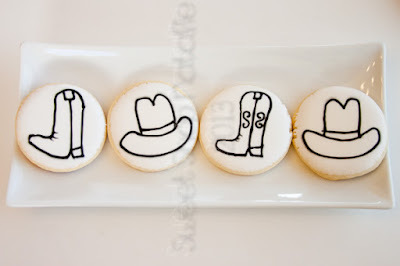 I bordered and filled the cookies with white icing then immediately piped the coloring image onto the wet icing with black icing using a tip less pipping bag or you could use a #2 Wilton tip in a icing bag. Then you let the cookies dry for 4-6 hours or over night. I like to use edible ink markers to color them. 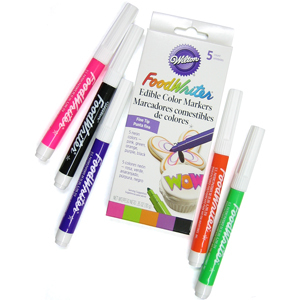 There are several different brands of edible ink markers but the Wilton brand can found at your local Walmart, Joann's or Michaels. If you don't have those stores you can order them online. 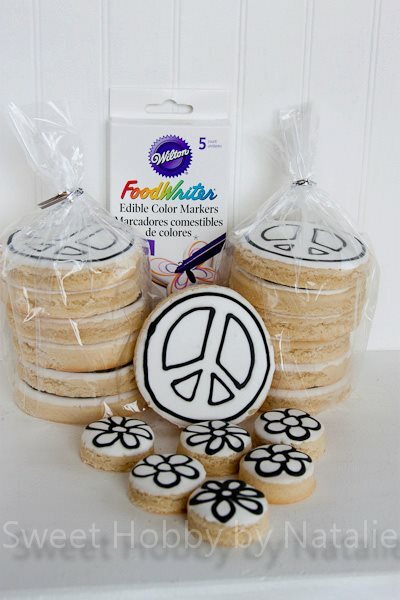 These markers can be used on naked cookies, royal icing cookies that have been dried, really any food surface that is solid, you can even color a piece of bread! 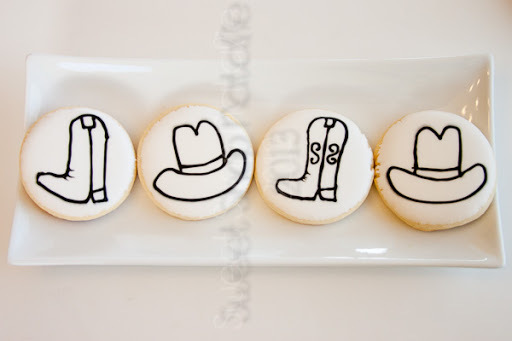 Here are cookies for my daughters birthday party. This time for my daughter who had a unicorn party. As you can see I made some cookies with coloring book images on them and then just dipped some unicorn cut out shape cookies and let them use their own creativity. When I am doing a lot of coloring cookies I like to dip my cookies to make it easier and much faster process. Please refer to a previous post you can find HERE, that details my cookie dipping process. You can find my royal icing recipe at this link HERE. Below are some more pictures of children enjoying coloring cookies. My kids love to color them when I have extras from orders. 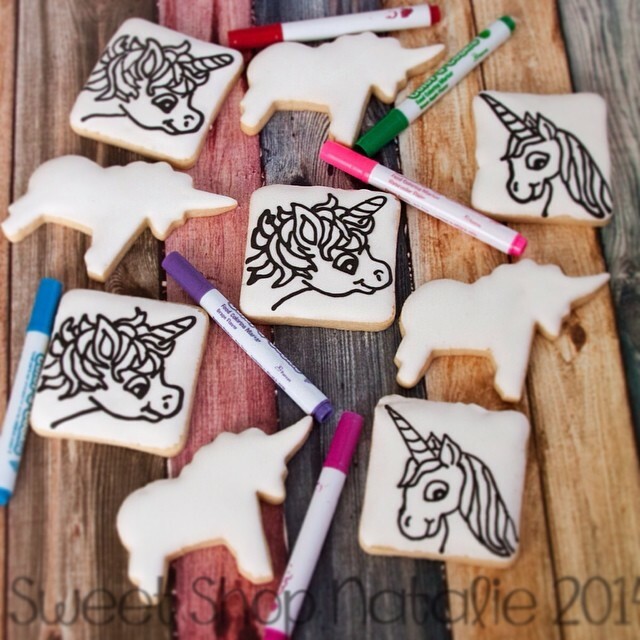 I also like to do coloring cookies for a activity for class parties at my children's school. You can do water color options with food coloring but food color markers are less messy and are better for younger children. If they do the water color kind, younger kiddos cookies end up being pretty messy and brown or black. 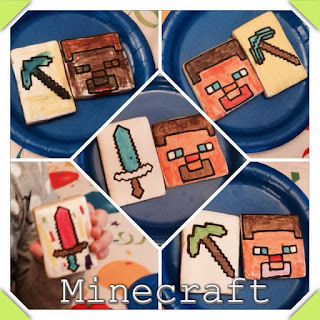 You can freeze coloring cookies as well. I like to seal my cookies individually and then store them in a airtight container then you can pull out a few cookies, let them come to room temperature, take them out of their bags and let their artistic juices flow. 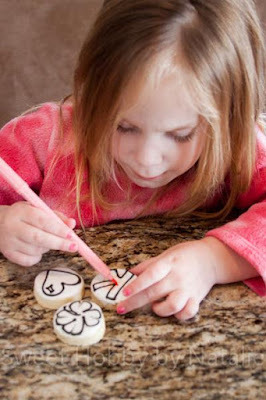 You could also use the cookies as little love notes for your kids school lunch! They will be so surprised to get a "sweet" note from mom. So give it a try and if you have any questions please comment or send me a message on my Facebook or Instagram account!